The evaporation materials can change the refraction angle of light by adhering to optic or other bases. It can be classified into high-reflective film, antireflection film, infrared film, ultraviolet film and optical filter based on optical performance. Functional films primarily include waterproof film, conducting film, polarizing film and dielectric film. Optical coating film has different refractive indexes for lights with different wave lengths and utilizes film combination with different thicknesses to produce total-reflection, penetrating (anti-reflection, AR) or partially penetrating or partially reflective (UV Cut, IR Cut ...) optical glasses. 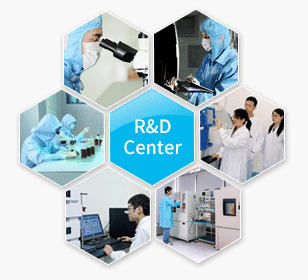 With development of optical technology, laser technology, microelectronic technology, computer technology and automatic control technology, optical storage technology will possess huge potential in the key technologies such as recording density, capacity, data transfer rate and addressing time. LCD array substrate requires thin films with high uniformity and flatness and large targets with high density and fine grain. The applied targets mainly contain Cr, Mo, Al, Cu, Mo, Si, SiO2 and In/Sn etc. Heat reflection coating glass is also known as solar control coated glass. The high-quality float glass surface is coated with one or multiple layers of metal or compound thin films by the method of vaccum magnetron sputtering, so it is referred to as coated glass with the function of reflecting solar energy. It can effectively reflect the infrared rays of sunlight (20~25%), prevent thermal energies entering the automobile (thermal insulation ↑>30%), relief air conditioning loads and maintain good transmission of light and clear view. Solar energy generally refers to radiation energy of sunlight and is used for power generally. When fossil fuels are gradually decreasing, solar energies have become an important part of energy sources applicable for human beings and continue to develop. Solar energies are utilized by the ways of photothermal conversion and photovoltaic conversion. Solar power generation is an emerging renewable energy source. Cathodic arc coating technology can be applied to plate different colors on a number of civilian hardware for decorative purpose. Compared with electroplating and stoving varnish used for general surface treatment, it is surpassingly characterized by high hardness, high brightness, corrosion resistance, oxidation resistance, detachment resistance and discoloration resistance. At present, this coating technology has been widely applied to many common bathroom hardware (shower head, water faucet, etc. ), building hardware (door lock, door knob, inner plate of elevator, etc. ), automobile hardware (rearview mirror etc. ), enclosure (cell phone, computer, etc. ), and ornamental parts (hairpins, buttons etc.). ACETRON also engages in production of components and parts used for electron beam evaporation, ion source and thermal evaporation. The range of products includes crucibles, evaporator boats and electronic gun filament. The quality tests are conducted in the whole production process so as to achieve perfect quality from external dimension to micro structure. Customized services enable us to customize parts and components according to different customer requirements. 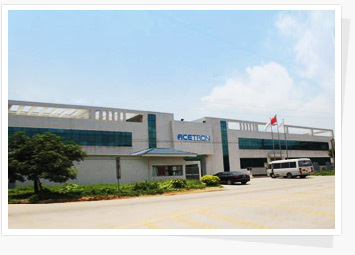 Fujian Acetron New Materials Co.,Ltd, founded in 2002, is a comprehensive company integrated with R&D, production and sale of coating materials, and mainly engages in R&D and production of vacuum evaporation and sputter coating materials for optics, semiconductors, flat-panel displays and surface decoration.